People inquire about consulting services for many reasons. 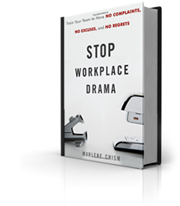 They have workplace drama and need to focus on leadership development. Or they are concerned about their corporate culture and want to know how their leaders can shape culture. Or an individual may inquire about executive coaching to improve performance, or to learn how to initiate difficult performance conversations. That’s why we offer a customized approach. Our process is less about problem-solving and more about creating. 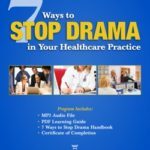 When people call to inquire about consulting they often start out by saying: “We have workplace drama and we need a workshop.” Over the years, we have learned that if a workshop would solve a problem it would have been solved already. One of our suggestions when an onsite workshop is desired is to offer the Meet You Where You Are facilitation. Once we have identified the real problems, we put together a proposal. If the proposal is accepted, we build a plan and a process to achieve your organizational objectives. The final consulting project may include workshops as part of leadership development, combined with executive coaching or other virtual learning to create sustainability. A common leadership challenges is the inability or unwillingness of leaders to initiate honest performance conversations. Most leaders have not been coached on conflict resolution, critical communication skills, or managing the emotions that come with leading people. The performance conversation is not the same as the performance evaluation, where the real goal is to document or punish. Our performance conversation model promotes engagement through responsible communication and accountability. 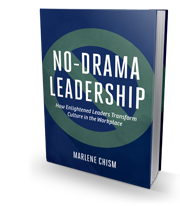 The lack of leadership development results in workplace drama in the form of lowered trust, absenteeism, and turnover. When you hear any of these statements, you know that it’s time to inquire about consulting, leadership development or to understand how leaders can use responsible language to shape culture. The customized initiatives we offer are designed to help you remove the barriers that prevent teamwork, engagement, collaboration and vision. Through executive coaching, corporate consulting or designing a company-wide leadership development retreat, we will design a solution to meet your unique needs and to help your company get the results you want. Ready to inquire about consulting? Call 1.888.434.9085 and leave a message. Someone will get back with you in 24 hours to set up an exploratory call. Or email now to connect with Marlene Chism.